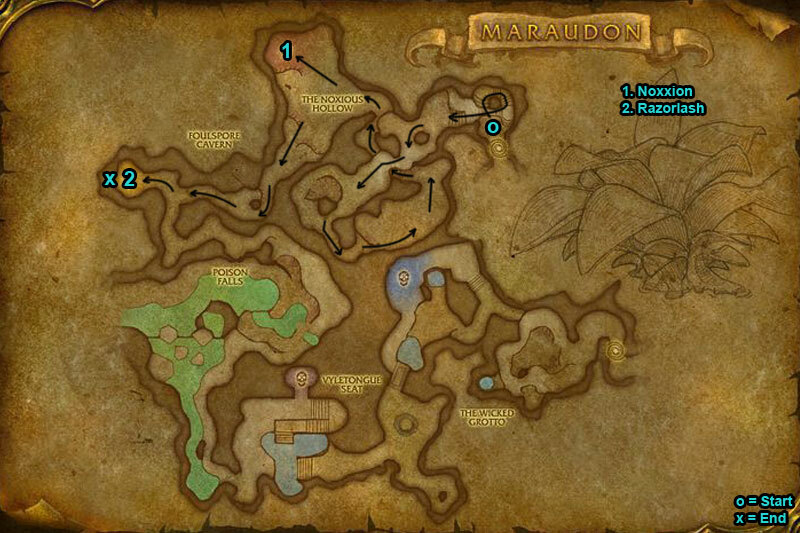 You can find the Maraudon Foulspore Cavern dungeon within Desolace, Kalimdor. Go inside and follow the pathway round, go down some stairs. 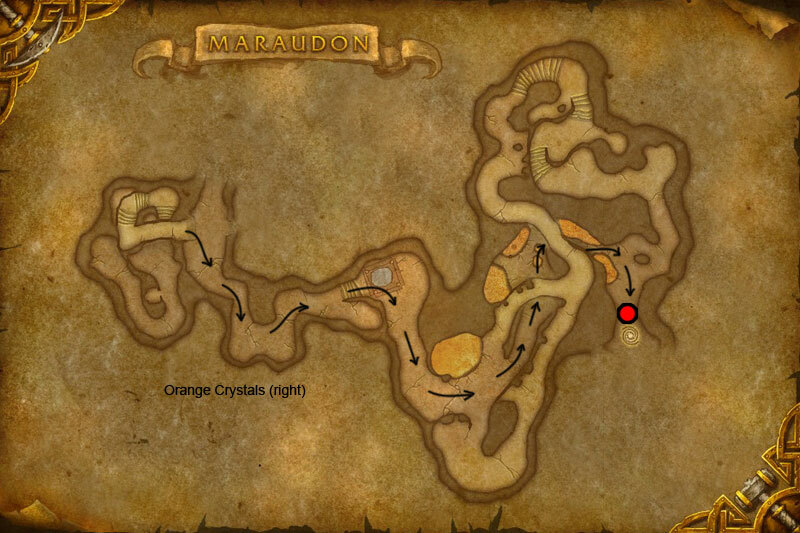 For this dungeon entrance take the right (orange crystals) & stay on the main path. /i Inflicts a poison on all players when casts Toxic Volley. Watch out for Uppercut, knocks away current target. 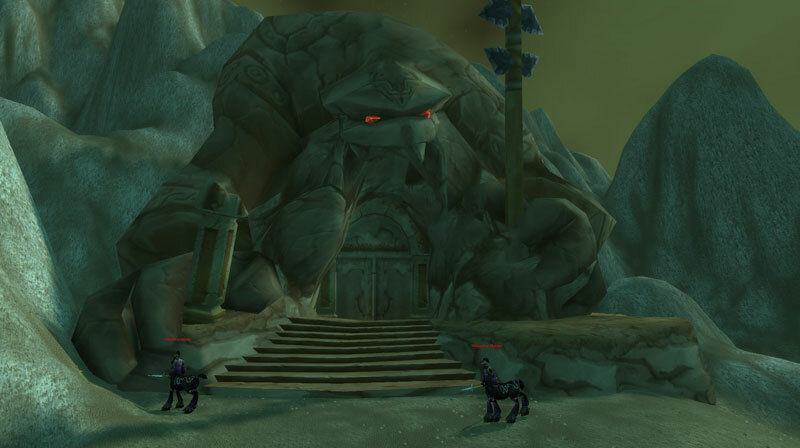 Boss will split into 5 spawns, kill all spawns to re-target him. 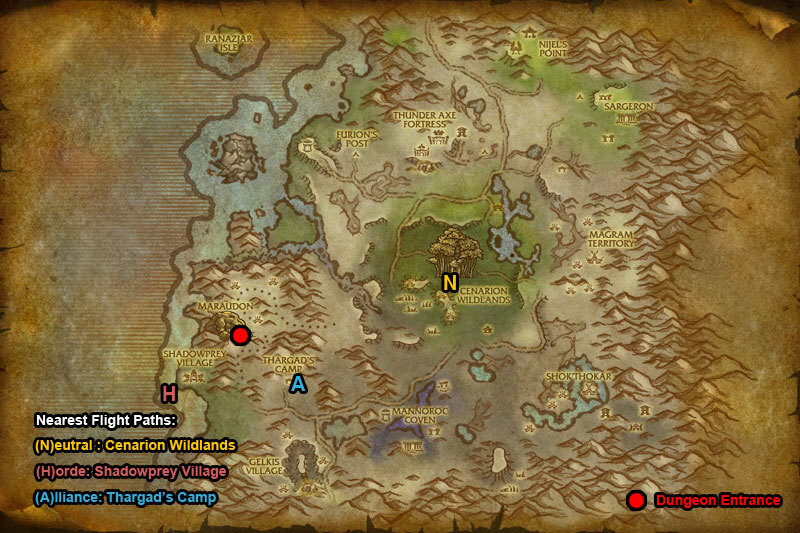 /i Cleave will inflict physical damage to nearest targets. The bosses current target will be taking Puncture & Thrash attacks.